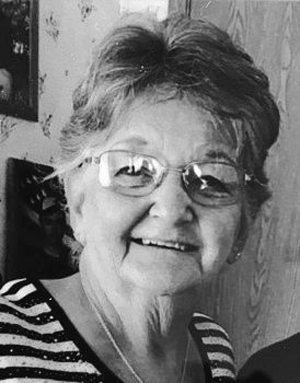 AUBURN – Sharon Aube, 73, of Auburn passed away on Wednesday, April 10, 2019 surrounded by all her loved ones at the Androscoggin Home Hospice House. She was born August 19, 1945 in Farmington. She was the daughter to Ralph and Elizabeth White. She graduated from Lewiston High School. Sharon worked at cable vision and TD Bank until she retired. She moved to Roak Block in Auburn where she enjoyed playing card games and puzzles with all the ladies in her building. Sharon is survived by her two daughters, Debbie Audet and her husband Scott Audet of Virginia, Laurie Rackliff and her husband Ken Rackliff of Vienna Maine, a son Allen Lewis and his wife Mary Lewis from Sanford; one sister Nancy Merrill; two nieces Tammy Packard and Karen Haskell, one nepheW Ronnie Maxim; 11 grandchildren; and eight great-grandchildren. Her family would like to thank Maine Medical Center, special care unit 2&3 and Androscoggin hospice house for all their excellent care they gave our beloved one. Visitation will be held on Wednesday, April 17, 2019, at Green Fellowship Church in Greene, at 10 a.m. Albert & Burpee.Condolences may be found online at www.albert-burpee.com.